A ‘bold new goal’ to reduce the number of pollutants in UK air by 2030 has been laid out in the government’s Clean Air Strategy 2019, and if you’re currently heating your home with a wood burning stove, it’s particularly big news. Unlike previous years, where the main focus was on outdoor air pollution, the Clean Growth Strategy 2019 has put emphasis on indoor air quality, big news for homeowners. High up on the agenda are wood burning stoves, used to heat 1.5 million households across the UK. Only the most efficient wood burning units will be made available to homeowners by 2022 and could lead to solid fuels, such as wood and coal, eventually being phased out. Speaking of the strategy, Bruce Allen, Chairman of Woodsure, said: “We welcome Defra’s 2019 Clean Air Strategy and are already working with them to bring about changes to existing smoke control legislation. Reducing particulate emissions from wood burning is an issue that the industry is working together on to ensure that the right stoves and the right fuel are part of the solution for air quality, not the problem. Why Does the Strategy Focus on Wood Burning Stoves? Guarantee that wood fuel moisture content is no more than 20%, known as the Woodsure Ready to Burn Standard. Particulate matter is a very small particulate, that can build up in bodily organs through the bloodstream and has been labelled extremely damaging to the world’s population by the World Health Organisation (WHO). Despite its impact on health, roughly 92% of the world’s population live where air quality levels exceed WHO guidelines but the UK government has set out ambitions to reduce PM levels ‘across much of the country’. However, this target has seen the strategy come in for criticism as it doesn’t provide details or a timeline of how this will be achieved. If you have a wood burning stove to heat your home and are concerned about the potential risks then you should consider a more efficient condensing gas boiler or off-grid heating system. 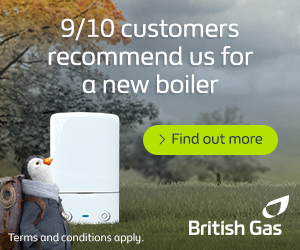 Head over to Boiler Guide to get free installation quotes from up to 3 trusted professionals in your local area today. Government to work with professional to determine a testing standard should new solid fuels hit the UK market. NEXT POST Should You Get a Smart Meter?